A free online toolkit has recently been released to help employers and staff when someone returns to work after a mental health problem. Developed by researchers from Kingston University, Loughborough University and Affinity Health at Work, the website guides employers and employees through six steps, including how to deal with absence and communicate about mental health. 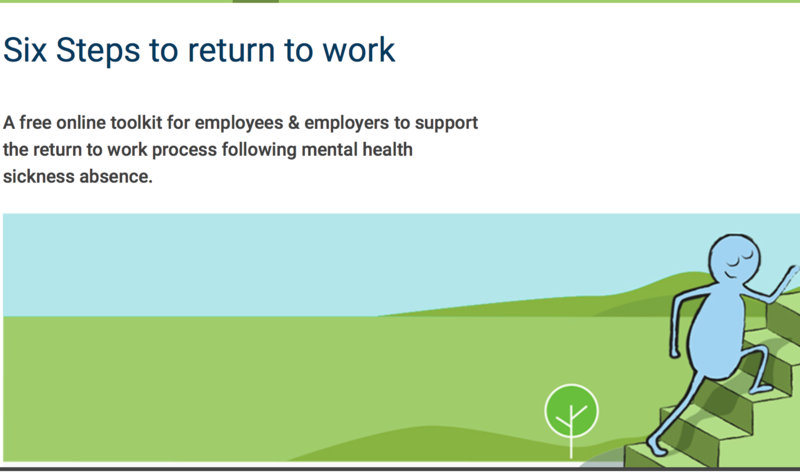 The Return to Work website also features templates for absence letters, facts about mental health, checklists for each stage of sick leave and a comprehensive guide for returning to work, including exercises such as identifying work priorities.